Ever since getting these Floral Jeans I've become obsessed with them. I am finding all different ways to wear them and can't wait to wear them even more this spring/summer! On my face I'm wearing Rimmel Match Perfection Foundation in natural beige, with Topshop Glow in Polished. Topped off with the best powder in the world which is Rimmel's stay matte powder and my favourite pink lipstick which is Kate Moss Lasting Finish Lipstick in shade 20. I absolutely LOVE this outfit. I recently purchased this skinny rib crop tee and it's so versatile! It's the perfect spring/summer basic to add to your wardrobe. 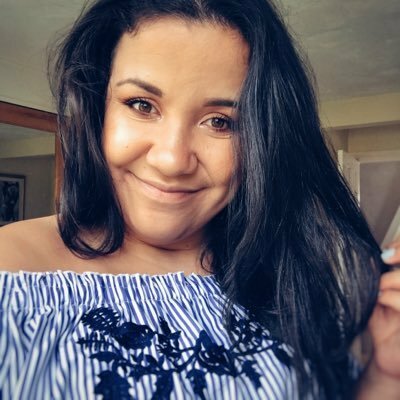 I've worn a cheap crop cami top (which is on the 2 for £10) from Topshop underneath. 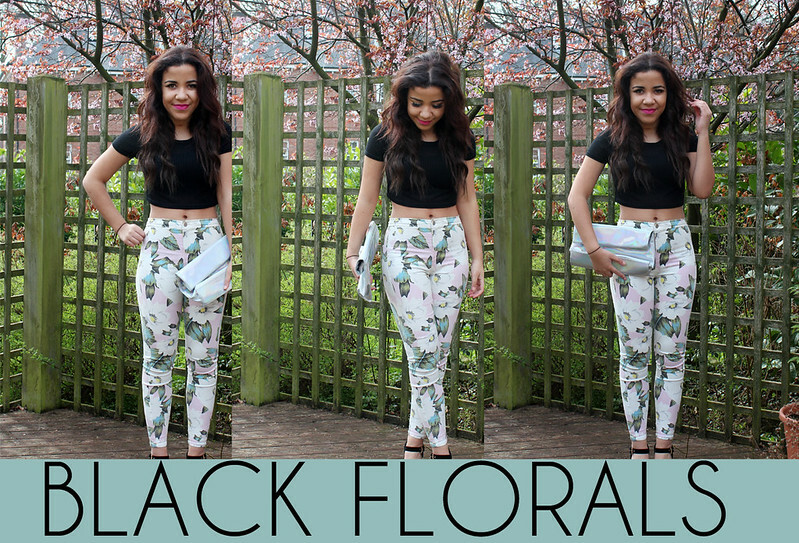 I think a simple black crop top goes perfectly with these high-waisted floral jeans from Topshop. It's the perfect simple outfit to wear with a pair of converse and a leather jacket during the day but also a perfect going-out outfit too with a pair of heels. Those jeans look absolutely incredible on you! And I love how you've styled them, especially with those shoes - which are amazing!